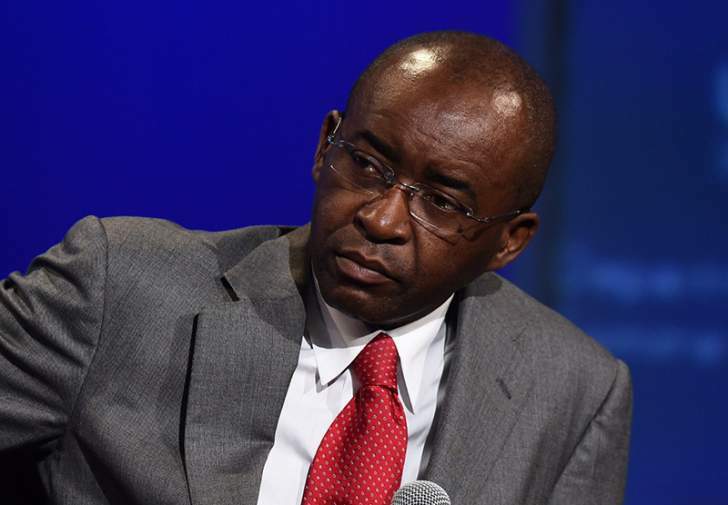 ECONET founder and executive chairman Mr Strive Masiyiwa yesterday vowed to stand by the people of Zimbabwe, reiterating his call for the removal of illegal sanctions imposed by Western nations in 2001 over the land reform programme. The sanctions are strangling Government efforts to turn around the economy and better the lives of its citizenry. Mr Masiyiwa blasted New York-based Human Rights Watch executive director Mr Kenneth Roth, after he criticised him for supporting calls for the removal of sanctions on Zimbabwe. In a long Facebook post responding to Mr Roth, Mr Masiyiwa challenged the American, who has been at the helm of Human Right Watch since 1993, to retire. "Maybe it's time to retire and let a new generation take up the fight, otherwise you will soon become the thing you fought against!" wrote Mr Masiyiwa. Mr Roth and his local representative, Mr Dewa Mavhinga, have been attacking Mr Masiyiwa and his wife, Tsitsi for calling for the removal of sanctions. Mr Mavhinga is a career MDC activist and rabid critic of anything good the Zanu-PF Government does. The attacks saw Mr Masiyiwa and his wife deleting their Twitter accounts citing cyberbullying. Local businesspeople have jumped to Mr Masiyiwa's defence, saying sanctions are hurting ordinary Zimbabweans. In November, Mr Masiyiwa joined the anti-sanctions lobby, stating that the embargo was no longer justified and should be removed as no country could prosper with "its hands tied at the back". He said the changes which had taken place in Zimbabwe since November 2017 were real and that President Mnangagwa was sincere about reforms and deserved a chance to turn around the economy. Mr Masiyiwa said focus should be on economics than politics. The comments drew diatribes from regime change merchants who have, without success, tried to use the sanctions-induced suffering as an instrument to turn Zimbabweans against Government. The billionaire also revealed his past links with MDC and its late leader Morgan Tsvangirai but indicated the people of Zimbabwe come first. He described as "pathetic" statements that self-exiled politician Professor Jonathan Moyo was "a champion of democracy". "I am with the people of Zimbabwe and my record is there for over 30 years of real activism, in which I put life and property at risk," said Mr Masiyiwa. "Time and time again, not the twitter stuff of the Dewas of the world. Clearly you never saw the WikiLeaks cables." He said he would continue supporting President Mnangagwa's administration. "Is that ($10 million donated to fight cholera) what angered you? I did that to save lives and I will do it again, so long as I have breath in me. I am with the people of Zimbabwe and their suffering must end and end now. Sanctions must end and name-calling will not intimidate me." Alpha Media Holdings chairperson Mr Trevor Ncube backed Mr Masiyiwa saying the illegal sanctions were a hindrance to economic growth. "I am 100% with @StriveMasiyiwa on this," he posted on his twitter handle. "For decades some of us supported the opposition MDC financially and otherwise. The opposition has disappointed many times. We have democratic right to change our minds. Sanctions are hurting all Zimbabweans." Industrialist and former president of the Confederation of Zimbabwe Industries (CZI) Mr Busisa Moyo weighed in: "I am yet to meet a single businessman worth his salt who is pro-sanctions. We have spoken out against this & so has @steve_hanke . Sanctions should also be a crime against humanity in the near future at ICC because they are equally brutal to issues they purport to address."